Building off the momentum from this week’s new images, Ubisoft and New Regency have premiered the official first trailer for Assassin’s Creed, thrusting Michael Fassbender into the dual role of Callum Lynch/Aguilar. Reuniting with his Macbeth director Justin Kurzel, who shot to fame thanks to the excellent Snowtown five years ago, Fassbender is said to be heavily involved in the live-action feature, acting as both producer and series star. Such commitment has spawned talk of a direct sequel entering development. However, one would assume the future of Ubisoft’s budding franchise hinges on the December release. It’s one that certainly showcases signs of promise, though, with Fassbender first assuming the role of Callum Lynch in the present day. Drawn to the nefarious Abstergo Industries, our hero becomes subject to an experiment of the Animus technology, lending him the ability to unlock genetic memories from his ancestors and travel to different epochs. Rounding out the Macbeth dream team is actress Marion Coillard, who headlines a stellar supporting cast that also includes Ariane Labed, Michael K. Williams, Dawn of Justice and soon Justice League star Jeremy Irons and Brendan Gleeson. 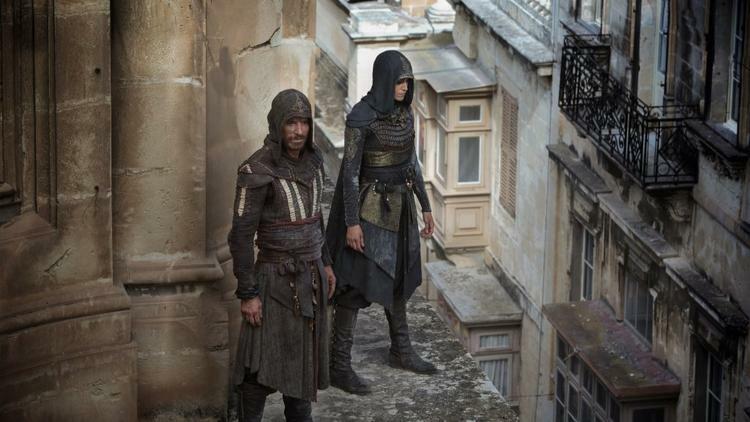 Its scouted the surroundings for years at this point using that trusty Eagle Vision but now, Assassin’s Creed will finally dive into theaters on December 21.